Are you using Windows 8 or newer? We have a separate guide for how to borrow and enjoy digital titles using Windows 8 and up. Are you a student? You may be able to use Sora to borrow titles on your computer. 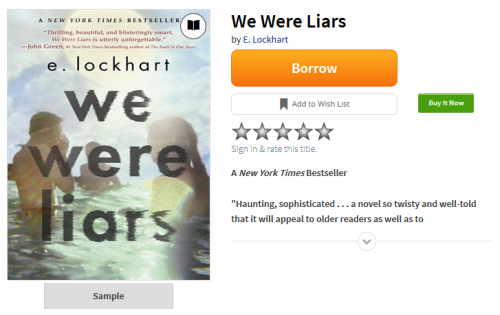 Before you borrow a title, find your library's digital collection on overdrive.com. Find an available title in your library's collection and click Borrow. Or, click the title's jacket to open its details page and learn more about it. Click Read now with Kindle (U.S. only) to go to Amazon's website and send the book to your Kindle or Kindle reading app. Read an ebook or magazine in your web browser. Learn more about reading in your browser. Listen to an audiobook in your web browser. Learn more about listening in your browser. Watch a streaming video in your web browser. Download an EPUB or PDF ebook to free Adobe Digital Editions software. From there, you can transfer ebooks to supported ereaders. Download an audiobook to OverDrive's free desktop app. From there, you can burn audiobooks to CDs or transfer them to supported MP3 players. In your library's digital collection, look for an available title to borrow. When you find a title that looks interesting, mouse over it, then click Borrow. Or, click more to view the title's details page. From here, click Borrow. 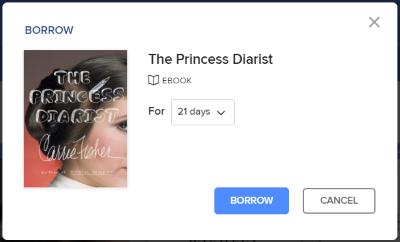 Read an ebook in your web browser. Learn more about reading in your browser. 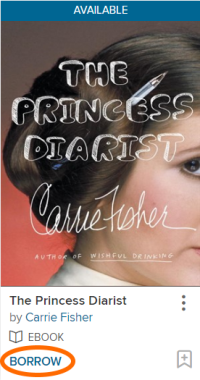 Listen to an audiobook in your web browser. Learn more about listening in your web browser. Click Play to watch a streaming video in your web browser. Download EPUB or PDF ebooks to free Adobe Digital Editions software. From there, you can transfer ebooks to supported ereaders. Download MP3 audiobooks to OverDrive's free desktop app. From there, you can burn audiobooks to CD or transfer them to supported MP3 players.